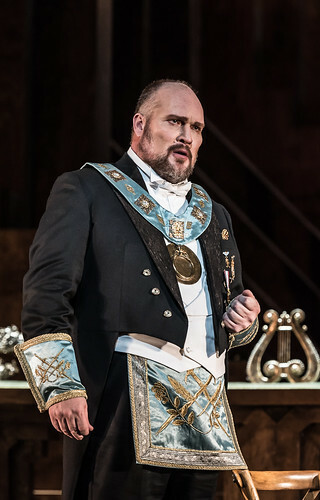 Danish bass Stephen Milling made his Royal Opera House debut in 1995, singing Herald (The Love for Three Oranges) with Royal Danish Opera. 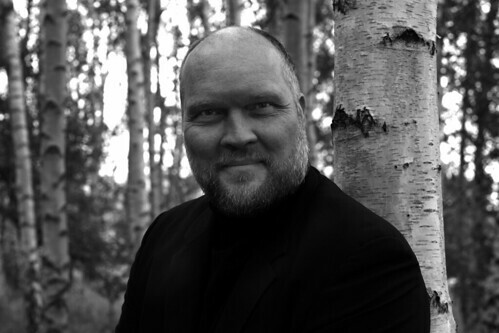 He made his Royal Opera debut in 2005 as Hunding (Die Walküre) and has since sung Sarastro Die Zauberflöte), Daland (Der fliegende Holländer), Herrmann (Tannhäuser) and Veit Pogner (Die Meistersinger von Nürnberg). In the 2018/19 Season he sings Hagen (Götterdämmerung). Milling was born in Copenhagen and studied at the Royal Danish Academy of Music. He was a principal bass with Royal Danish Opera 1994–2012. His Wagner roles include Hagen, Gurnemanz (Parsifal), King Marke (Tristan und Isolde), Fasolt (Das Rheingold) and Fafner (Siegfried). Other repertory includes the Commendatore (Don Giovanni), Rocco (Fidelio), Sparafucile (Rigoletto), Geronte de Revoir (Manon Lescaut), Padre Guardiano (La forza del destino) and Sarastro. He has sung for such opera companies as Bavarian State Opera, Berlin State Opera, Vienna State Opera, Palau de les Arts Reina Sofía, Teatro Comunale, Florence, Teatro di San Carlo, Naples, Zürich Opera House, Dutch National Opera, Teatro Real, Madrid, and the Bayreuth Festival. Milling also appears regularly in concert both in his native Denmark and internationally. Engagements include Verdi’s Requiem with the Berlin Philharmonic under Mariss Jansons and Das Rheingold in concert with the New York Philharmonic and Alan Gilbert. His discography includes Les Troyens with the London Symphony Orchestra and Colin Davis on CD and DVDs of Der Ring des Nibelungen, Tannhäuser, Parsifal and Nielsen’s Maskarade.